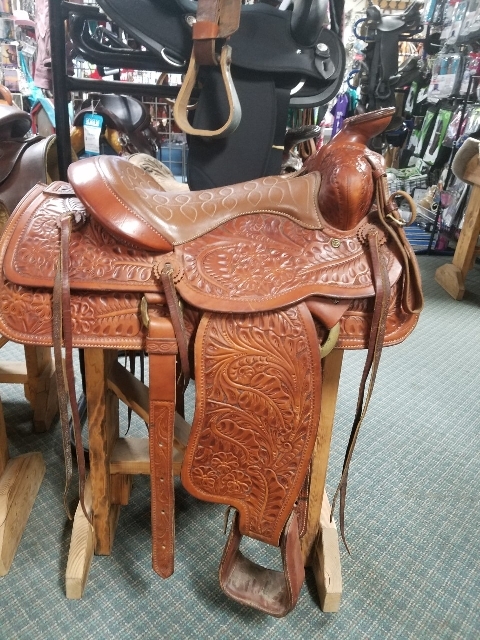 Thinking About Buying a Saddle? 16" Crates with the silver! Great condition! Fits most horses. 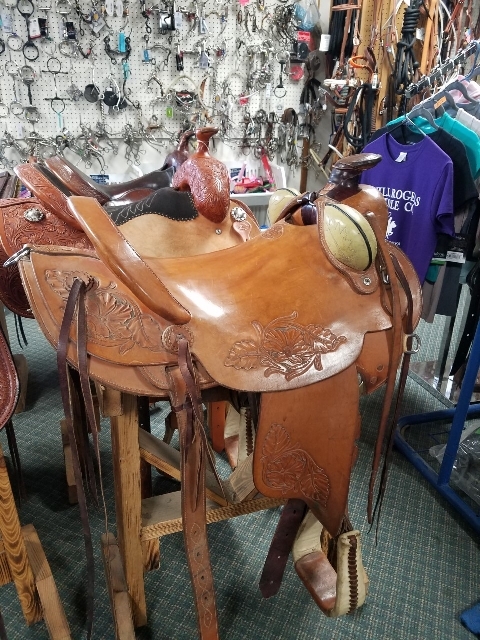 This one is now on special for $1295! You'll look great in the show pen! Don't miss out on this one! 16" Rocking T Roper- BARELY used! Full Quarter Bar Tree. Hand tooled, REAL fleece! Roughout seat, jockey, and fender. 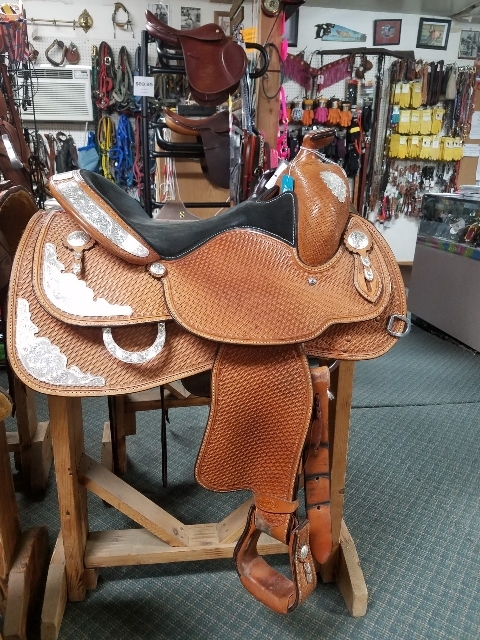 Nice sitting saddle! 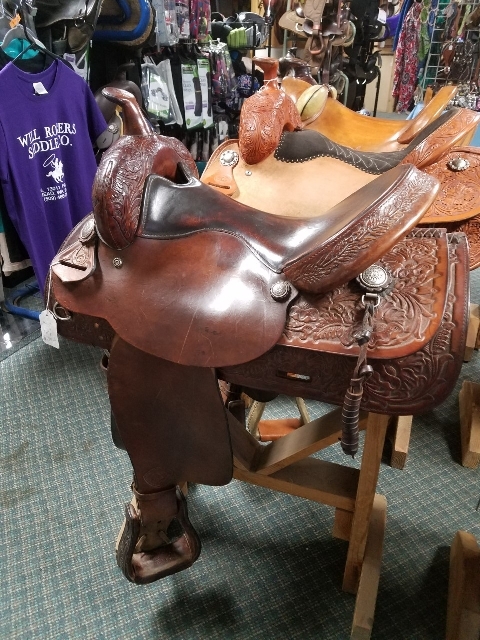 #6001 15 1/2" Trail saddle. Well made - great leather! This is an old beauty! Hand tooled. Rawhide tree. Real sheepskin. $395. 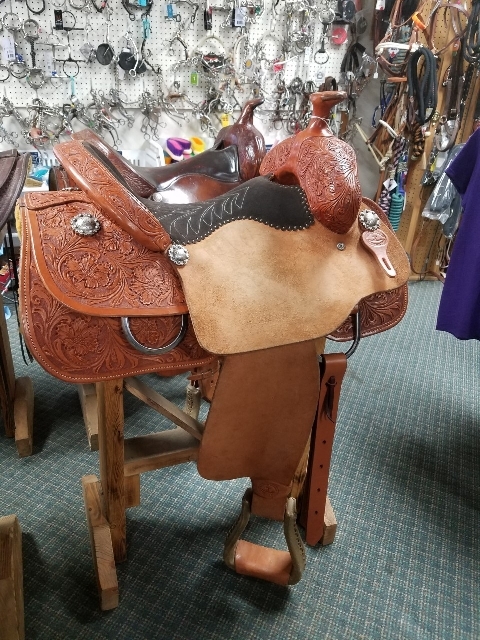 16" Hereford Trail Saddle. Deep, padded seat. Floral tooling. We had a picture of Annie working, but no one recognized her. This is more what it looks like. Ray Holes 16" Slick Fork with bucking rolls. Real sheepskin. Rawhide tree. Wide. Crupper Ring. Come check this one out in person! 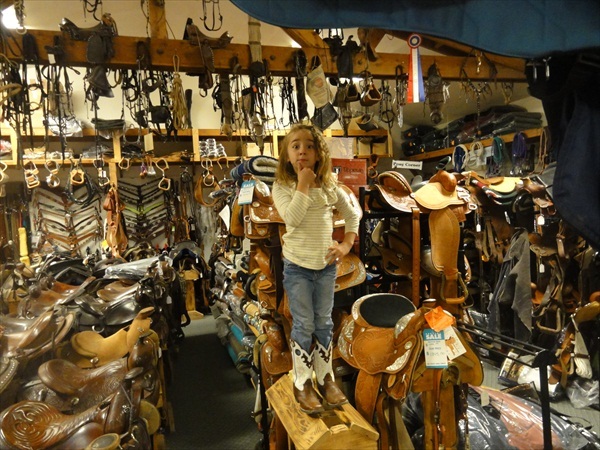 Come in and get the right saddle for you and your horse! 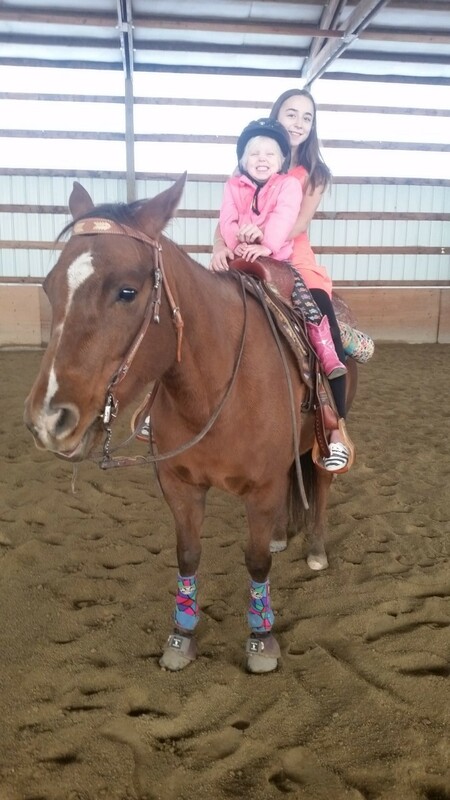 This is Skout and another of my grandkids, Violet, riding my sweet trail horse, Clara. Love them all!